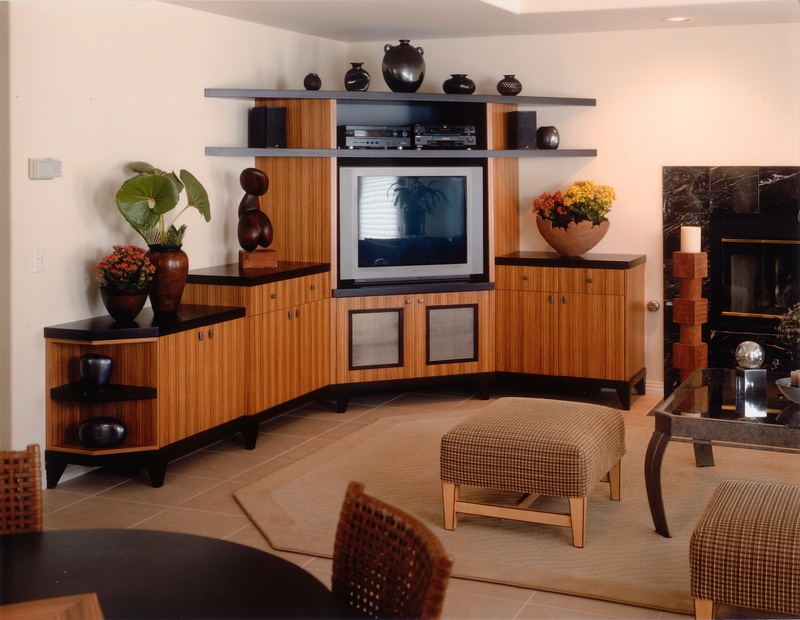 The award-winning Flying Zebra home media design teams a zebrano veneer with ebony. Display shelves appears as “wings”; stair stepped heights on tapered legs create varying levels for display. 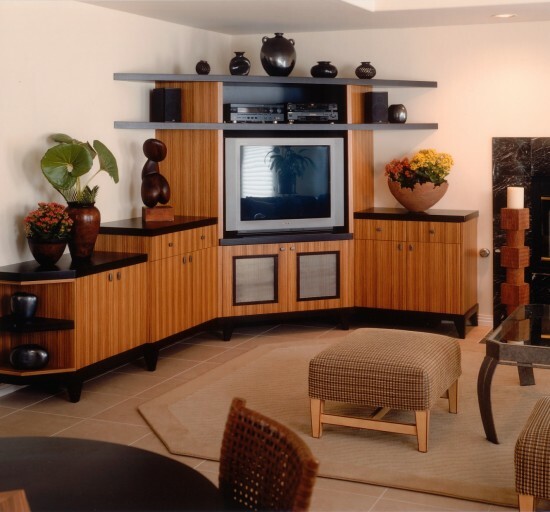 "This media unit is designed as a series of individual cabinets floating at different heights, teaming an Asian influence with clean modern simplicity."